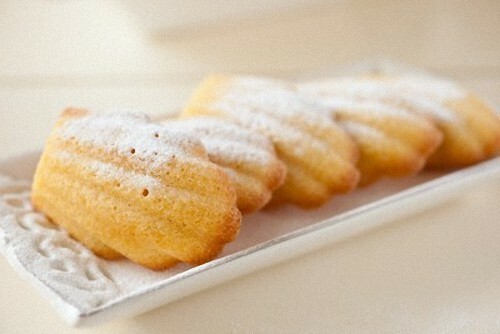 You'll love these classic French cookie recipes and will want to add them to your collection. The light, delicate textures of these homemade cookies, and the delicious, all-natural flavors make them ideal to serve on any occasion. 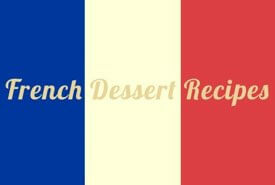 Be sure to try one of the easy cookie recipes tonight and enjoy the taste of Old France. Ingredients: 1/2 cup butter, 3/4 cup brown sugar, 1 egg, 1/4 teaspoon mace, 2 cups pastry flour (or 1-3/4 cups hard wheat flour), 1/2 teaspoon baking powder, 1/4 cup chopped almonds. Directions: Cream butter well and gradually work in sugar. Beat and add egg. Measure once sifted flour and sift again with mace; add gradually to mixture, putting baking powder into last part of flour. Add almonds. Chill, shape into roll, and chill again overnight. If necessary, reshape the roll, and chill again before cutting down in very thin slices. Bake on a buttered sheet in a moderate oven 350°F 15 to 20 minutes. These are good looking cookies, crisp and with good flavor. 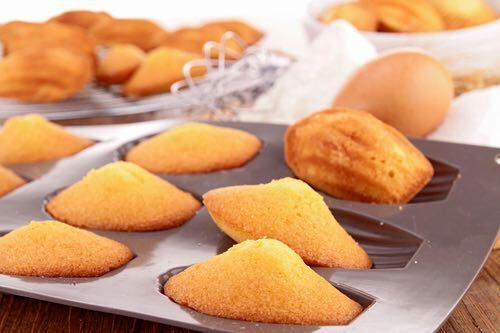 These delicate French cookies that were favored by King Louis XV of France are traditionally baked in small shell-like molds, but other shapes can also be used for making Madeleines. Sugar, four and a half ounces; flour, three ounces; butter, one ounce; egg yolks, four; whites of eggs, three; a pinch of baking soda, a taste of lemon peel. First mix and stir the yolks with the sugar and when they have become whitish, add the flour and stir for fifteen minutes more. Mix with the butter, melting or softening it fine if it is hard, and finally add the whites when they are well beaten. The flour must be previously dried in the sun, or on the fire. This cake may be given different shapes, but keep it always thin and in little volume. 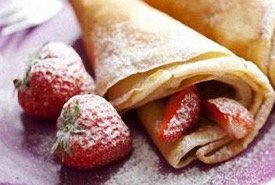 It can be put in little shell-like molds greased with butter and sprinkled with flour, or else in a baking tin, keeping it not more than half an inch thick, and cutting it after baking in the shape of diamonds and dusting with powdered sugar. One pound of blanched sweet almonds, the whites of three eggs, two pounds of pulverized loaf sugar. Pound the almonds with the whites of the eggs until reduced to a smooth paste, and then gradually mix in the sugar. Roll a portion of the mass thus formed in powdered sugar, and cut them into pieces about an inch long, and form them into the letter "S" shape, and bake on waxed plates. Mix the yolks of three eggs with four ounces of fine sugar and half a clove of vanilla, powdered and passed through a silk sieve; after working these ingredients for five minutes, add a whole egg, then work them again for five minutes; after which add another whole egg, and continue to work them for five minutes longer; then beat up the whites of the first three eggs to a very stiff froth, and mix them, together with two ounces of dried and finely sifted flour, to the former ingredients. When the batter is quite sleek, lay out on paper, and bake as Lady Fingers. Just imagine being able to make your own authentic French almond cookies, the S-shaped sans souci biscuits, and the delicate biscuit à la cuillière. There's even a an old fashioned French cookie recipe for making Petites Madeleines, the little shell-shaped cookie that's synonymous with Old France and traditional French baking. The famous cake-like cookies were given their name by King Louis XV (1710-1774) to honor Madeleine Paulmier who was the esteemed cook of his father-in-law, Stanislas I, the exiled King of Poland. You'll be thrilled with the Old World taste of these special homemade cookies. Be sure to make some tonight. 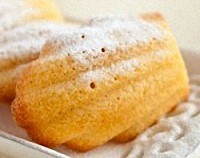 Especially try the French Madeleine cookie recipe. As King Louis XV would say — Ces biscuits sont délicieux!